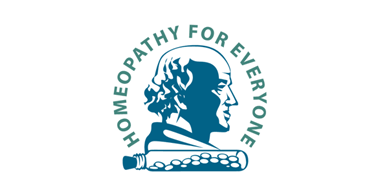 PLAY this amazing homeopathic crossword for November 2018. Can you solve this crossword? 1. Bernhardt Fincke, Thomas Skinner and Samuel Swan each developed a form of this device used in homeopathy. 2. Gaertner, Morgan Pure, Sycotic Co. all refer to this class of nosodes. 3. This spider remedy has extreme senstiivity to noise, hystgerical vertigo and craves bananas. 4. This unforgiving acid remedy strongly desires herring..
5. Painful corns on soles may be helped by this antimoniuom remedy. 6. Albuminaria after scarlet fever may call for this insect remedy. 7. Pulex irritans is made from tihis tiny critter. 8. This carbonicum remedy has desire to spit from anger..
9. The tincture of Hamamelis is this color. 11. Lycopus is indicated in hemoptysis related to disease of this organ. 12. This acid remedy has brain fag and general aggravation from reading or mental exertion. 13. Eupatorium Perfoliatum is an important remedy in this mosquito-borne viral illness with severe joint and muscle pain. 14. This carbonicum is often indicated in suggical shock. 15. Hahnemann's first proving was with this bark. 16. This doctor first gave cowpox to people as immunization against smallpox. 17. If a substance is insoluble in water or alcohol, this method is used to potentize it. 18. The rubric AIlments From Excessive Joy includes this beverage remedy. 19. Aurum, Chamomilla and this mineral remedy have violent behavior from pain. 20. Bubbling pains in region of kidney is a keynote of this remedy. 21. Grand Duke Ferdinand was a benefactor of Hahnemann when Hahnemann moved to this city. 22. An arachnid is the source of this remedy often indicated in the classic symptoms of angina. 23. This lac remedy has faultly nutrition, motion sickness and sick headache with profuse flow of urine during pain. 24. Wyethia causes this symptom in the nose, throat and palate. 25. A bilious constitution is one have an excess of this fluid.